Very few things can cause a homeowner to panic quite like coming home and finding a water leak. But what exactly do you do when you realize that your furnace is leaking water? First, don’t panic, we will go through a list of things to check over to see if it something minimal or if you will need one of our highly trained professionals from Weather Tech to come fix your leaky furnace. We suggest you follow the troubleshooting guidelines below, but if it seems to be a serious issue please contact a qualified professional to take a look. Keep in mind standing water can cost you a lot of money. It can damage your furnace further, cause mold inside the home, rot wood, and damage floors and carpet. It is in your best interest to address any leaks promptly. If you are feeling overwhelmed, you can always call us, your trusted HVAC partner, and we can inspect your unit and provide you with the peace of mind that your unit has been repaired to the highest standards. The very first thing you should do when you notice a leak is to turn the furnace off. First, turn the thermostat to OFF, turn off the power switch that is dedicated for your furnace, and electrical breakers connected to the furnace, and then turn off the shut-off valve located on the gas line. 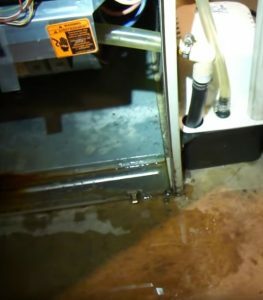 Only after disconnecting your furnace from power and gas should you mop up the excess water. In addition, while you are addressing the source of your furnace leak, it is an excellent time to check the health of your furnace filter. We recommend you change your furnace filter every 3 months, but if you are experiencing problems with your furnace, it is always a good idea to install a new filter and start fresh. Clogged filters can cause unnecessary stress on furnaces, so it is essential that you keep up with your filter maintenance. Determining the cause of a leaky furnace can depend on the type of furnace you have; conventional or high-efficiency. 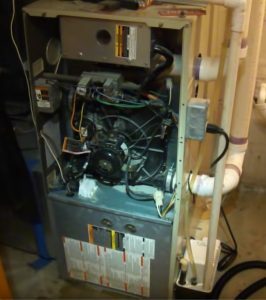 It is relatively easy to tell what type of furnace you have (if you do not know already). 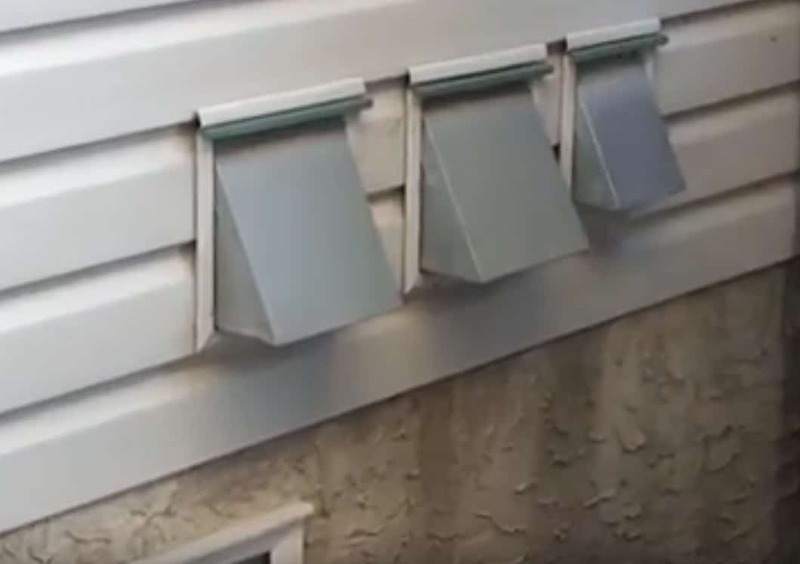 Look at your furnace; if you see a metal pipe coming out the top or side, then you have a conventional furnace. If you see a white PVC pipe, then you have a high-efficiency unit. 2) Condensate Clog or Leak (High-Efficiency) – High-efficiency furnaces naturally produce condensation that is whisked away by the drain tap or condensate line. Sometimes the drain tap or condensate line gets clogged or starts to leak. You can easily check the drain tap to see if it is clogged and use a shop vac to clean it out if necessary. However, if the issue is related to a leak that is not caused by a clogged drain tap, it is a good idea to call one of our professionals in to troubleshoot. 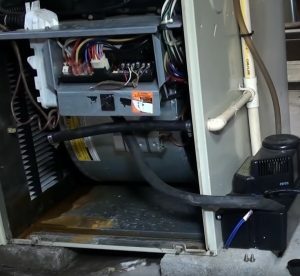 3) Condensate Pump Malfunction (High-Efficiency) – Condensate pumps in high-efficiency condensate furnaces can sometimes start malfunctioning and can no longer effectively move the water through the lines. These issues can also cause leaks. If you have already checked to see if your leak is related to a clogged drain tap, and have determined that it is not, you should contact us to come out and inspect your system. We can easily determine what the issue is and get your unit functioning properly. 4) Humidifier is Leaking (All Units) – Many homes have humidifiers installed along with their furnace so that their home stays moist during dry winters. 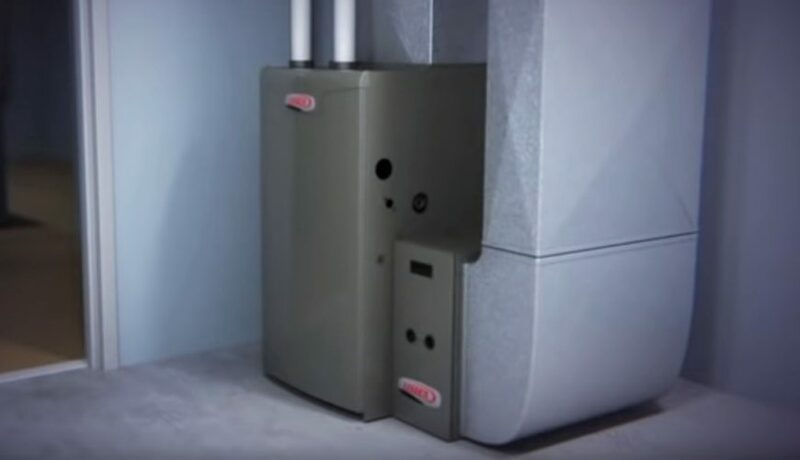 If there is an issue with your humidifier, and it starts to leak, it can often appear that your furnace has sprung a leak. If you think your humidifier may be causing a leak, contact us to schedule a repair. Check for leaks and clogs – the most common places to check are the water feed tube, drain line, and water tap line. If you suspect that your A/C unit is the source of the leak, contact a professional to service your unit. 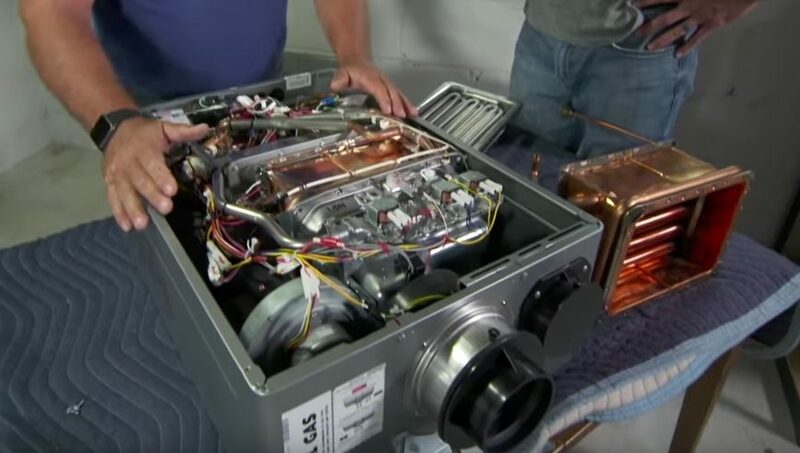 6) Other issues – If you have performed the above troubleshooting and still cannot figure out where the leak is coming from, definitely contact a trusted professional to inspect your unit. You could have a heat exchanger problem or even a plumbing leak. A professional can help you properly troubleshoot your unit. 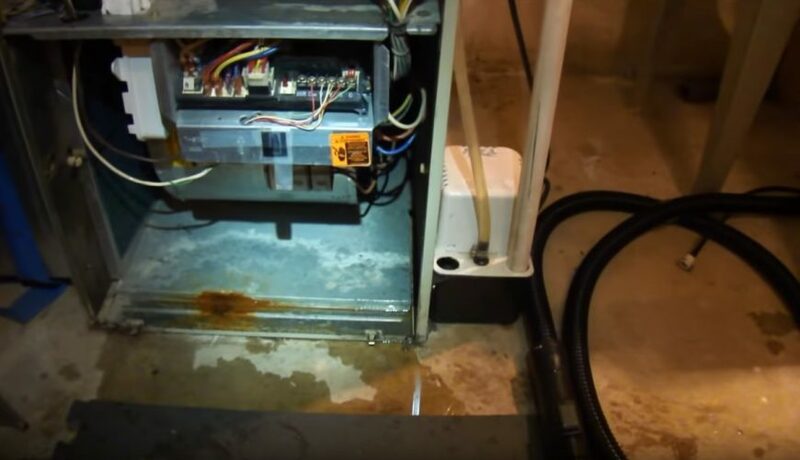 These are some of the most common reasons why your furnace will leak. As you can see, some of these issues can be easily fixed, while others require the help of a trained professional. In addition, it is not always easy to tell the cause or source of a furnace leak; we are here to help. Feel free to contact Weather Tech so we can help you assess and fix any issues you might be having with your furnace.